The Brilliance of Alexa Skills! The Voice Age is here! This is the most innovative, engaging use of technology that every business and professional will soon be utilizing. Without a doubt, Alexa Skills are the most personal way to attract potential customers and clients. Alexa is the smart home and office voice-activated, data-driven skill that operates on all Amazon Echo devices. Users can enable the Alexa Skills manually or by speaking a command to Alexa. Google Home has its own skills base as well, but Amazon holds 76% of market share, so focus primarily on Alexa Skills. We’re proud to have successfully developed and launched several interactive Alexa Skills for our clients and ourselves. Amazon is making it easy and convenient for users to make purchases through Alexa Skills. More and more companies will soon replace conventional emails and use the popular Alexa Flashbriefings. We set up AYRIAL Flashbriefings and direct users to an web transcript which includes all the pertinent links for users to quickly grab. Major and small companies will create Alexa Skills solely for corporate meetings, financial discussions. Yes, you can have a private only Alexa Skill! Studio Carlton wants to tell your story to Alexa audiences. Amazon Alexa Skills Connect Customers with Products They Love and Services They Need! The future of here with voice-activated, data-driven devices. “To be competitive in business twenty years ago, you needed a website. Today Amazon Alexa Skills are an essential business tool that provides an opportunity to rise above all the noise of the digital world and engage your audience in a rich, interactive platform, ” says, Victoria lynn Weston, Founder and President of Studio Carlton. With Alexa Skills, Amazon Echo devices provide millions of users worldwide with unlimited information, including news, music, podcasts, audiobooks, weather forecasts, the ability to control smart home systems and gadgets like light bulbs, even the ability to order products on Amazon.com. And it’s all hands-free. Creating an Alexa Skill proceeds from a fusion of skills, knowledge, understanding and imagination. Studio Carlton builds custom Alexa Skills for professionals and brands that range from answering questions about your company to offering daily tips such as meditation, motivational tips or Flash Briefing. Together, we can build Alexa Skills with Seamless Integration of Technology for you to offer your audience a variety of abilities. “Alexa” is the simulated voice-driven personal assistant created for Amazon Echo. By asking “Alexa, what’s the weather?” users get a detailed forecast. “Alexa, play an audiobook” pulls up the user’s Audible account, where books are retrieved and played through the device. Alexa can stream your music, tell you how many tablespoons are in a gallon, how to make pancakes, do basic math problems, or tell you how far it is from San Francisco to Sydney, Australia. 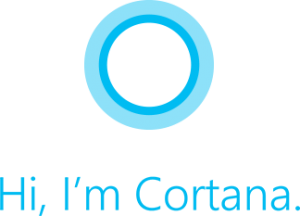 Echo users access this content by selecting its corresponding Alexa Skill on the Amazon Alexa Skills website. Similar to apps on a smartphone, an Alexa Skill is built around a specific subject, brand or company. Tide has a custom Alexa Skill that offers users tips on removing stains. News organizations like CNN, NPR, and the Wall Street Journal built custom Alexa Skills to deliver news. Authors can find inspiration for their own Alexa Skill listening to Oprah Winfrey, who uses Alexa Skills as a sales tool by reading excerpts from her books and promoting her latest projects. Studio Carlton provides the same technology to businesses and content-creators with their own custom-built Alexa Skill. Alexa can answer questions about your product or service, play your podcast, or have information sent to customers’ phones via a texted web-link that takes them to your website or a landing page built by Studio Carlton. As email newsletter readership continues to wane, your message isn’t getting read. Consider engaging your audience with your own Alexa Skill News or as it’s also called, Flash Briefing skill. This is an ideal platform to share the news you might share via conventional email newsletter campaigns. Get creative. Entertain your audience. Studio Carlton develops Amazon cloud-based services to create and customize your own Alexa Skill. If you have ideas, we can create and design a beginning-to-end program to connect and engage your audience to your; news, podcasts, products and services utilizing Amazon Echo devices and Google Home. Develop an Alexa-based interface to deliver your news/message that will expand your business or audience outreach. Our superior team of developers will customize cloud-based applications to handle all the interaction between your business or creative project with Alexa. We can provide a connection between your systems and the end-user, offering sophisticated speech interaction and artificial intelligence to allow them to reach your products and services instantly, permitting you to engage your target audience with seamless perfection. We offer a quick certification process with Amazon to get your Alexa skill approved and launched seamlessly. Cloud hosting and maintenance for your custom Alexa Skill. Studio Carlton is led by a team of first class developers with a combined experience of more than thirty years in development, web application, smartphone apps and brand development. Looking for fresh ideas to promote your book? License our Alexa Skill! We can turn your book into an engaging, interactive experience delivered through Amazon Echo devices. Your book comes alive with text, audio clips, music and more! Or, you might prefer to utilize a human-like voice to read your book! Alexa can speak well, but the technology has advanced and now we can create a more human-like voice experience to read your book. If you want to monetize your content and who doesn’t, we can show you how to implement this with Amazon’s innovative technology. And, we can also connect users who are registered Amazon Echo, Alexa users! Twenty years ago, you needed a website to promote your business or book. Today, you must utilize innovative platforms like voice-activate, data-driven devices like Amazon Echo to promote your business or your book. Are you ready to explore creative ways to promote your book to engage your audience? We can create an interactive experience from your book and deliver to your audience via Alexa’s Amazon Echo device. We do this with a combination of text (using Alexa’s voice) and streaming audio content to deliver it to people through their Amazon Echo device or app. Your book or even a documentary can be interactive, with music, sound effects and audio recordings. Looking to monetize your content? We can assist you in monetizing your content for Amazon Echo Devices. 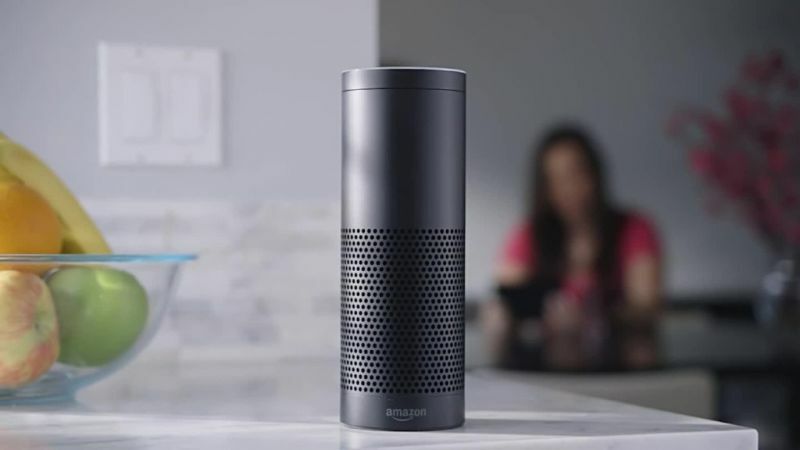 For such programs including educational content to deliver to exclusive individuals, Studio Carlton can validate users through your website, to ensure that the person communicating through Alexa is a registered user. Amazon Echo is a hands-free speaker you control with your voice has seven microphones and beam forming technology so it can hear you from across the room—even there’s music or the television on. Amazon Echo is also an expertly tuned speaker that can fill any room with 360° immersive sound. Don’t have an Amazon Echo Device? Get one here! Do you have a big idea for your own Alexa Skill? Amazon Echo Devices work works because people like and trust Amazon. Customers are using voice assistants to cue up music, set timers and get weather forecasts. And, they are also starting to use them to shop. It’s clear that consumer brands and retailers should take this technology seriously. Voice assistant integration is the top smart-home trend at CES 2018. We think VOICE is a big part of the future—we believe that voice will fundamentally improve the way people interact with technology because of its ability to make the complex simple.We’re seeing high engagement in areas like entertainment, food and drink, family, and more. Tide’s Alexa Skill, Stain Remover, for example, doles out advice for more than 200 types of stains. Campbell’s Kitchen helps consumers choose recipes and then helps guide the cooking process. Nestlé has rolled out a “GoodNes” skill, which pairs voice cooking instructions with an online guide. The company is building out a team of employees dedicated to conversational brand engagement. Keep up to date with Studio Carlton News! Join our newsletter! A group of creators, developers and innovators utilizing the latest technology to help you engage your audience. Contact us today to discuss creating your own custom Alexa Skill.